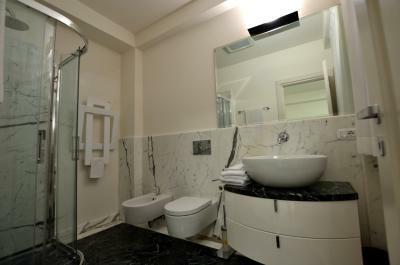 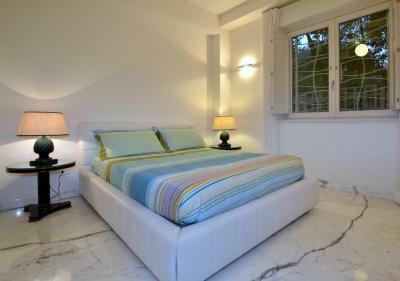 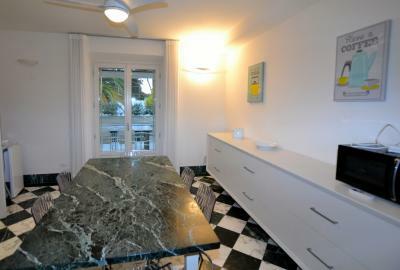 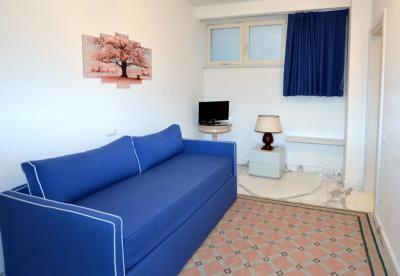 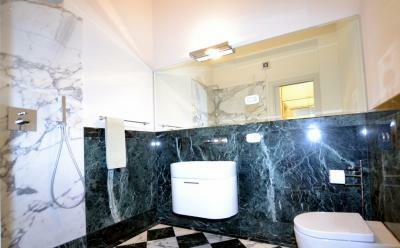 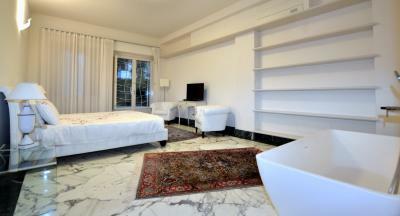 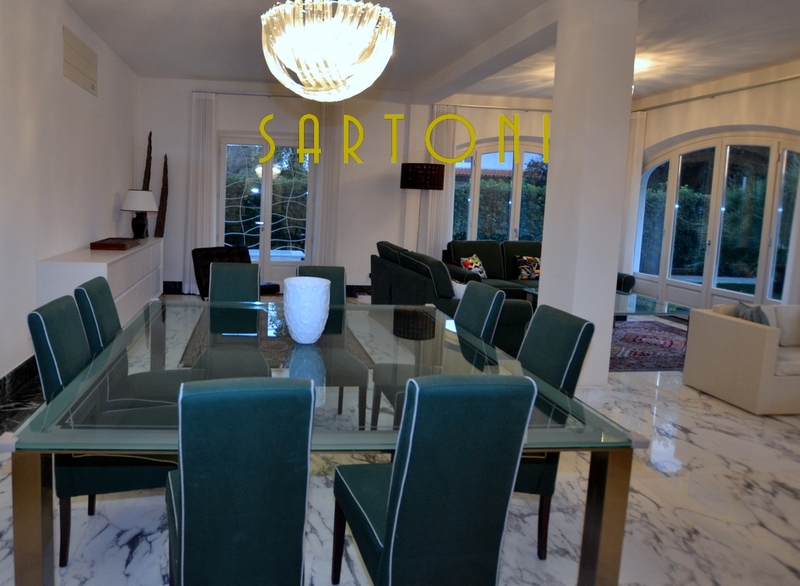 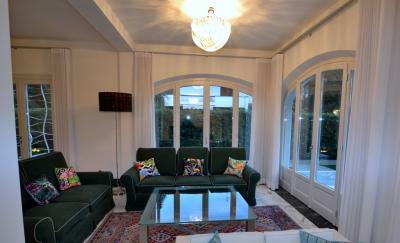 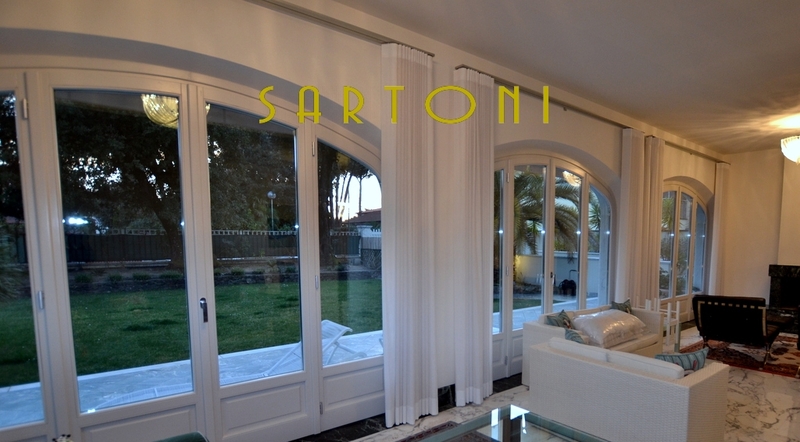 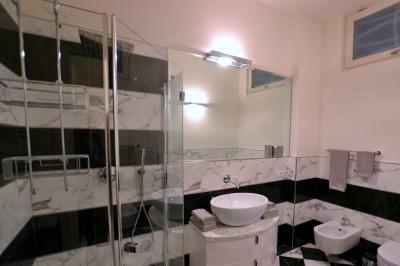 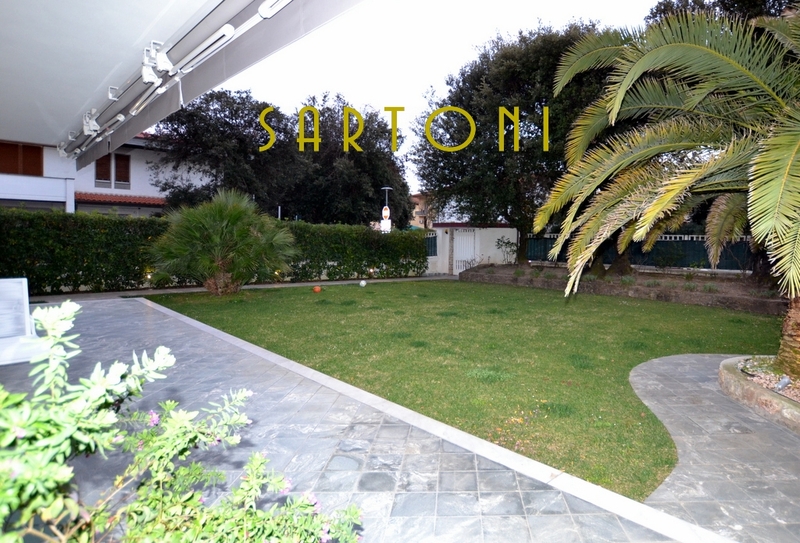 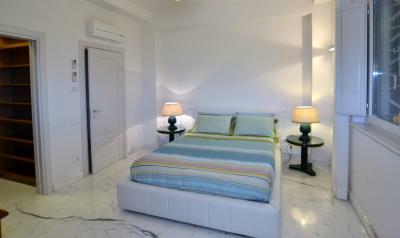 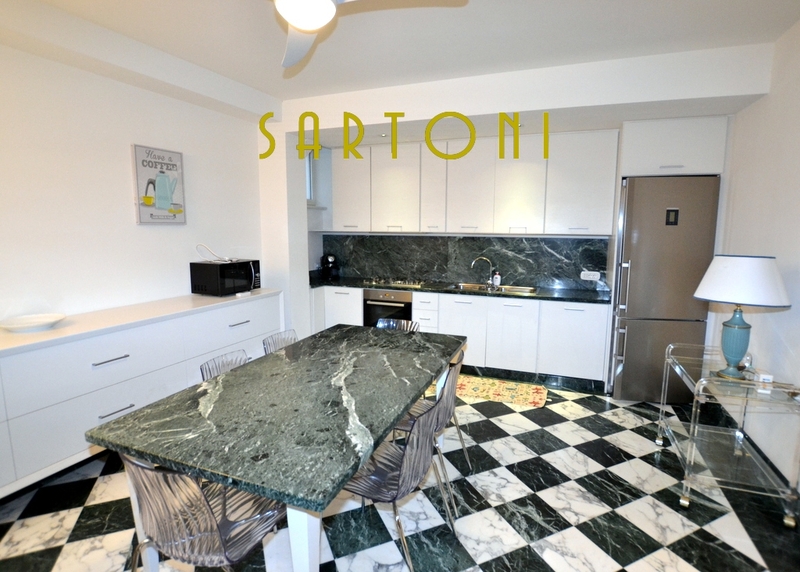 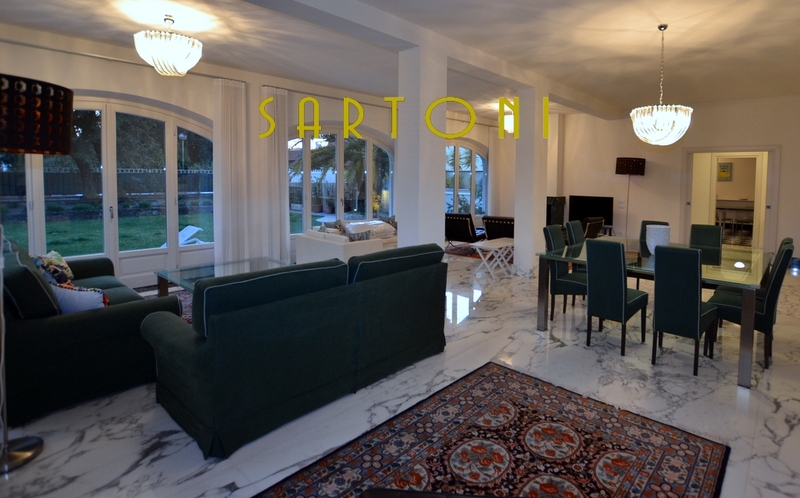 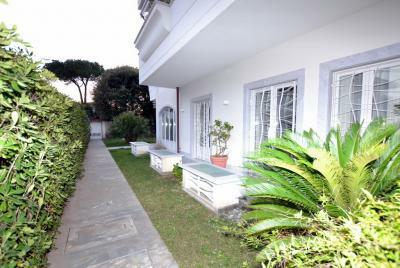 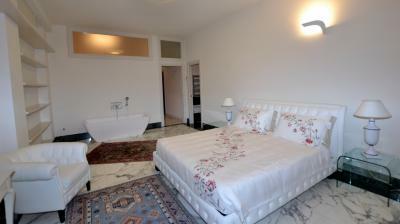 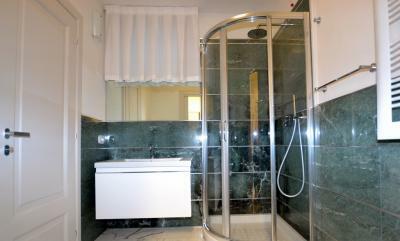 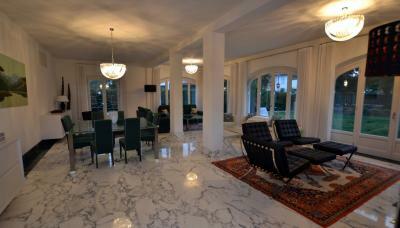 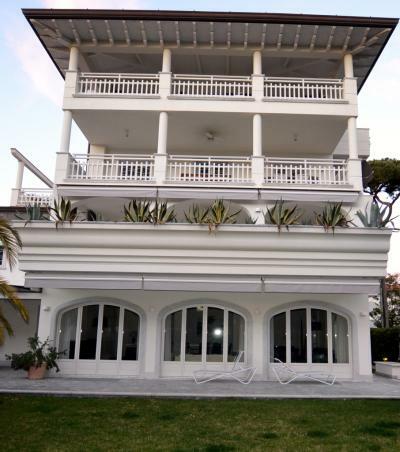 Forte dei Marmi exclusive Apartment on the ground floor with private garden. Entrance, triple living room, dining room, kitchen, laundry, 4 bedrooms with private bathroom (2 double bedrooms, 1 twin bedroom, 1 single room with single sofa bed and pull-out bed), balcony and large veranda porch for lunches and dinners . 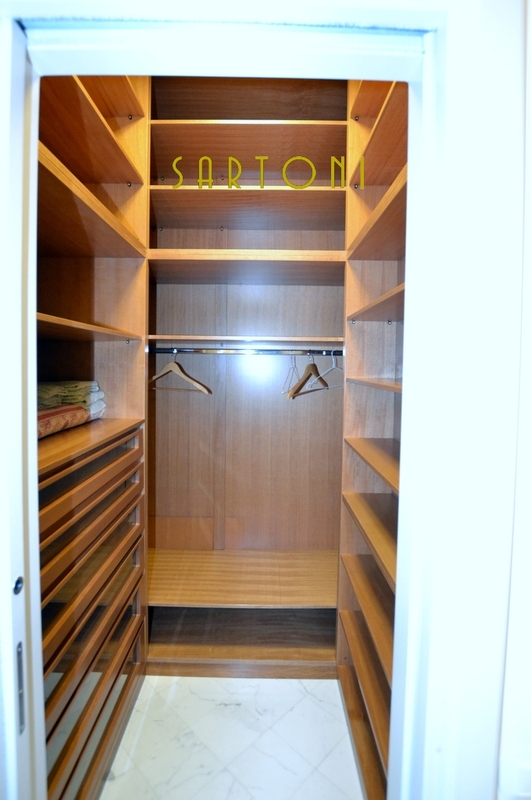 Two parking spaces in the garage. 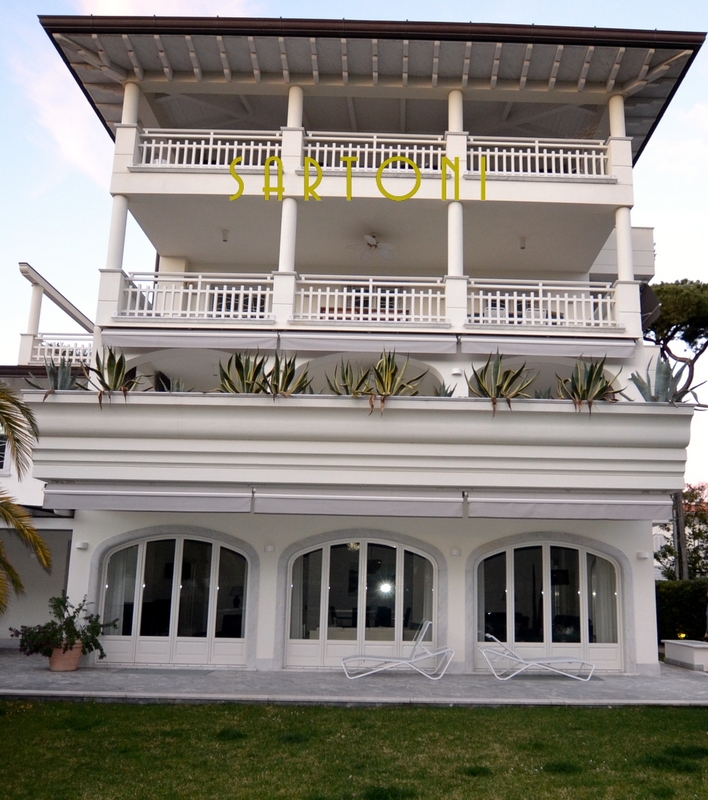 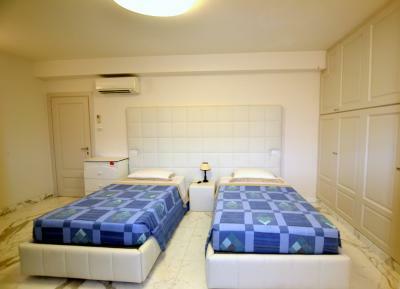 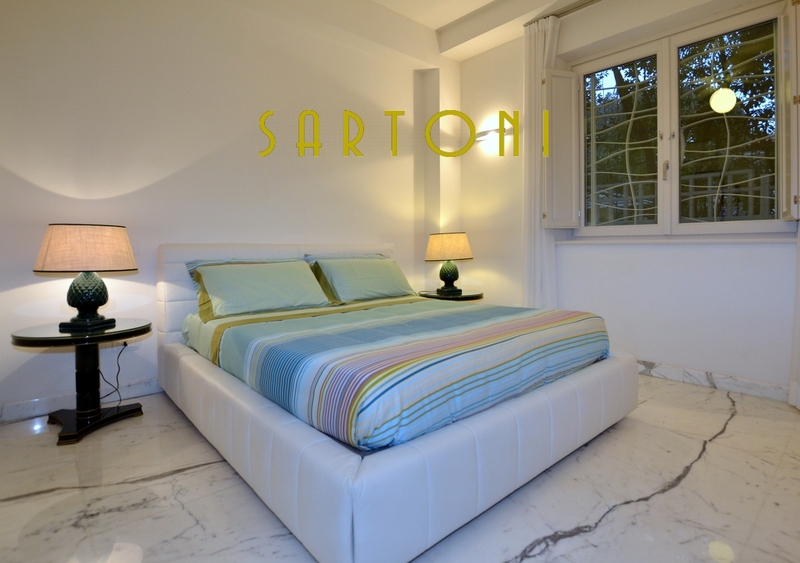 Elegant air conditioned Apartment equipped with gates, alarm system, satellite Tv, Wi-Fi, finishes and designer furniture, marble floors and wood, just 100 meters from the sea. 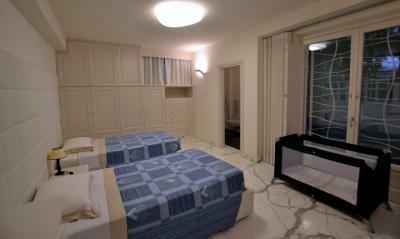 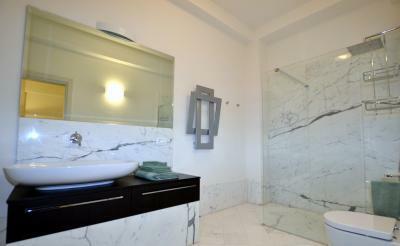 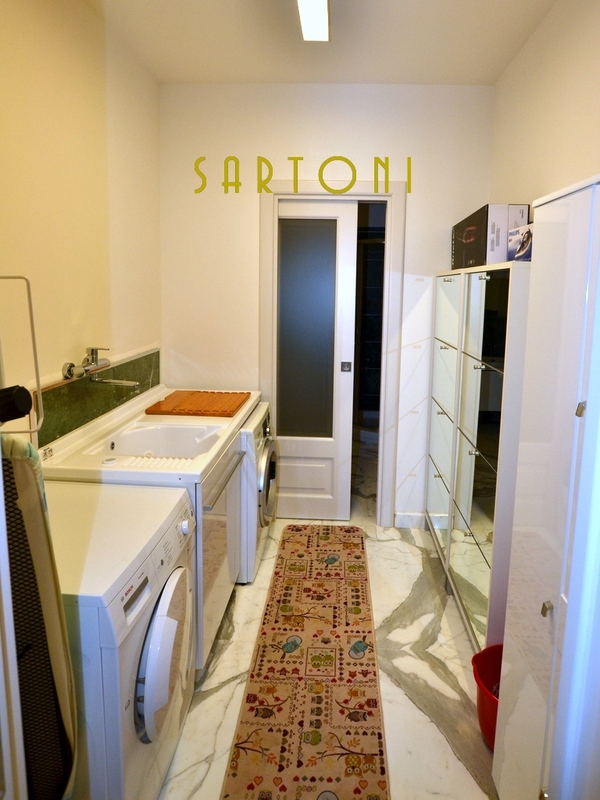 Total Square Meters: 160 sqm.